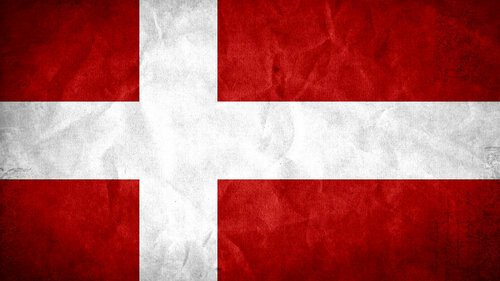 Funk family history takes us to Denmark – specifically, the Island of Bornholm. 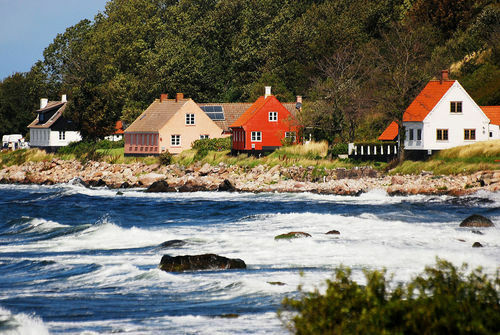 Bornholm is situated in the Baltic Sea, approximately 100 miles southeast of Copenhagen. 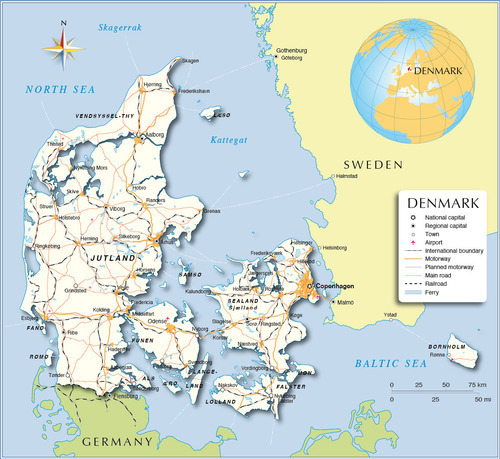 Curiously, Bornholm is closer to Sweden and Poland than mainland Denmark. 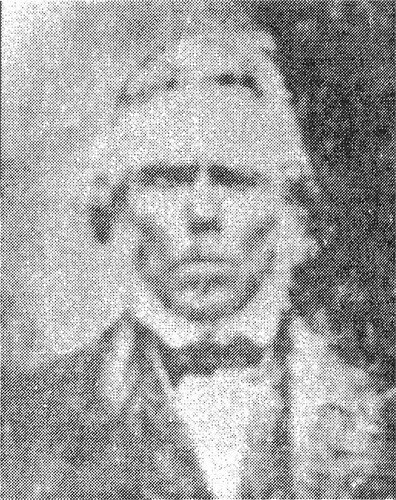 My third great grandfather, Diderik Espersen Funk (1800-1874), was a farmer in the small village of Povlsker; however, he soon moved to the town of Pedersker. 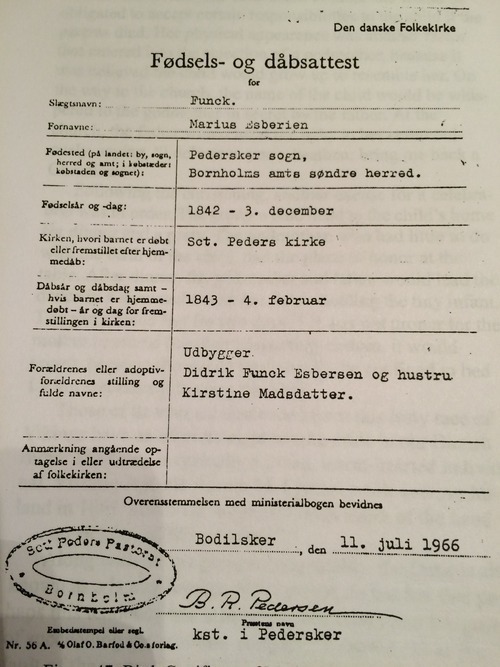 It appears Diderik was also connected to the sea for in one account he is described as a “sailor who made several trips to Iceland, Greenland, and to other countries." Diderik, however, was foremost a farmer. In fact, the "Diderik Funk Farm” is still a familiar spot on the island and is known for its beauty. 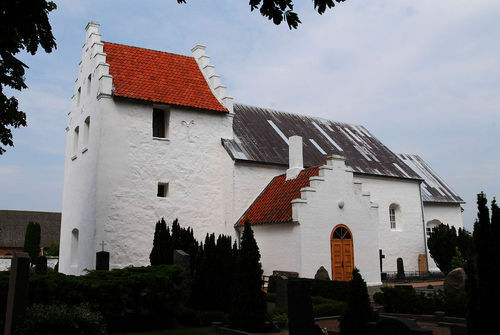 On November 12, 1825, Diderik married Kirsten Madsen Hansen (1801-1875). They made Pedersker their home. The Danes generally believed that the more children they had, the more luck and blessings they would enjoy. It appears my ancestors definitely adopted this philosophy. Diderik and Kirsten had 13 children, which included two sets of twins. Their names were Elia; Elia’s unnamed twin brother who was stillborn; Jorgene; Christopher Madsen and twin Cecelia Kirstine; Jacobena; Hansmine; Kirstina Matilda; Hans Madsen; Didderikke Helena; Marcus Espersen; Hannah Eliza; and Willard Richards (more on that later). Marcus, my second great grandfather, was born on December 3, 1842 and was baptized two months later in Saint Peders Church on February 4, 1843. In 1851, missionaries for the Church of Jesus Christ of Latter-day Saints (LDS) arrived on the island. In February of 1856, Diderik was baptized into the church. 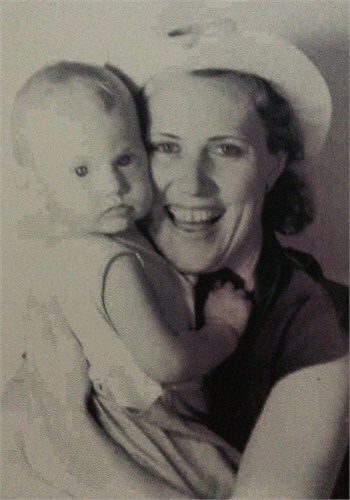 Kirsten was baptized three months later. Marcus was baptized in January of 1857 at the age of 14. It turns out the LDS missionaries may have played a part in naming Diderik and Kirsten’s youngest child. It appears the missionaries were called to the Funk home to give the new baby a blessing, but the parents did not know what to call him. 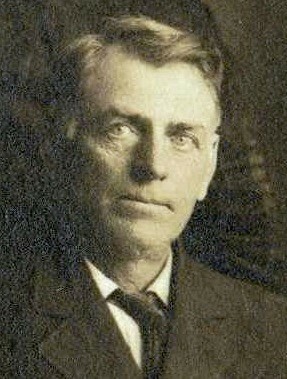 The missionaries suggested “Willard Richards,” after the latter-day apostle. Not long after Marcus’ baptism, Diderik and Kirsten decided to leave Denmark and travel to Utah. On May 29, 1857, the Funk’s boarded the Tuscarora under the command of Captain Richard M. Dunlevy. On board were 547 LDS immigrates, of which 185 were Danes. The ship arrived in Philadelphia on July 3, 1857. We arrived and camped in the public square. The people were very good to us and brought us all kinds of vegetables and bread. They brought us a large squash and mother asked what it was. They told her and said to cut it up in strips about two inches long and boil it like potatoes. We cooked it and tried to eat it, it was the first time we had ever tasted it and we could not. Mother cried because we had to throw it out. 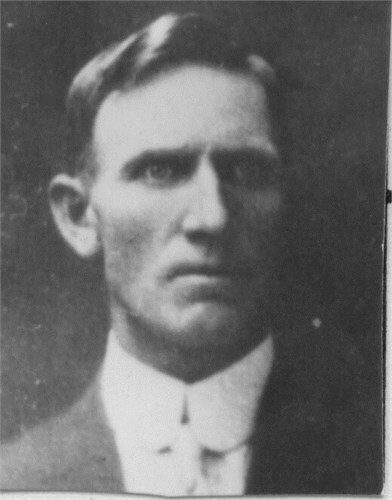 Later, most of the Funk family moved to Richmond, Cache County, Utah. On October 22, 1864, Marcus married Magdalene Olsen Westenskow. 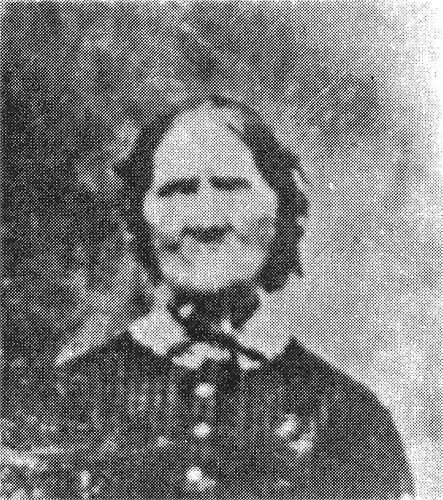 Magdalene had also joined the church in Denmark and had immigrated to Utah. 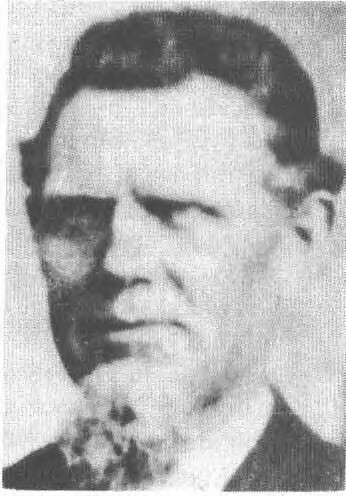 On January 20, 1867, Magdalene gave birth to William Jacob Funk, my great grandfather. 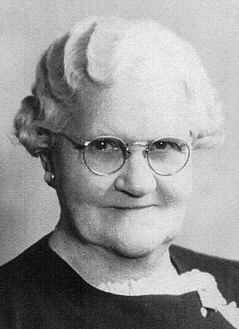 William eventually married Naomi Roxana Holman, who gave birth to my grandma in 1910.